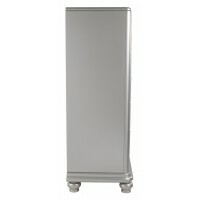 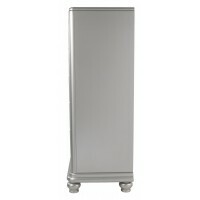 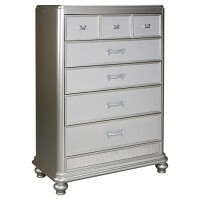 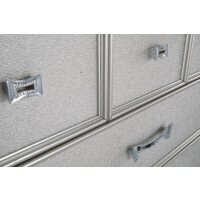 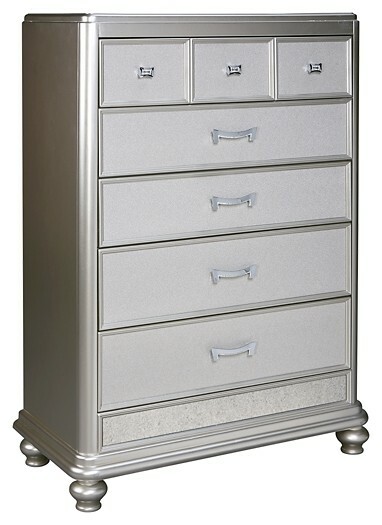 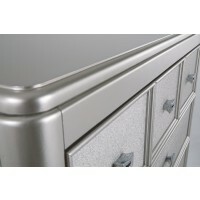 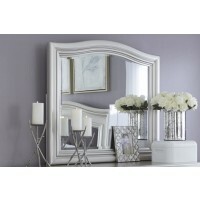 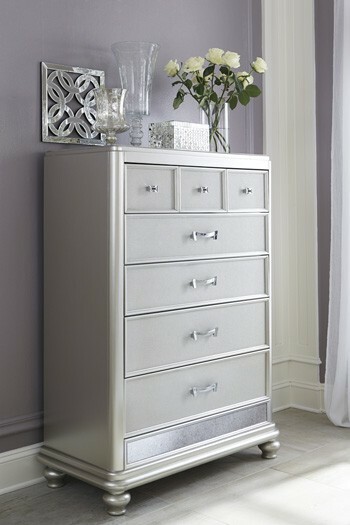 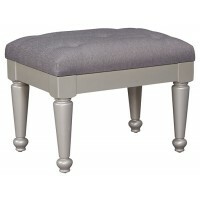 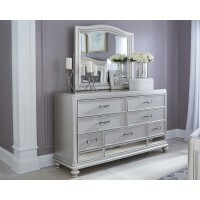 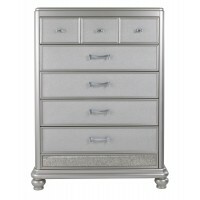 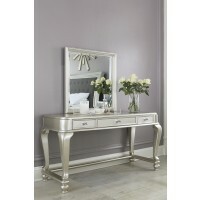 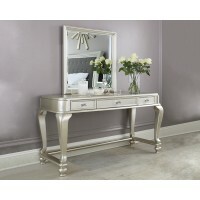 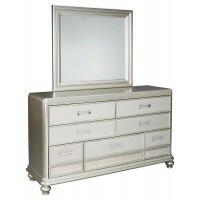 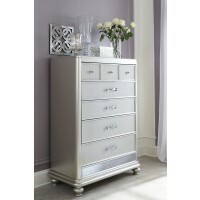 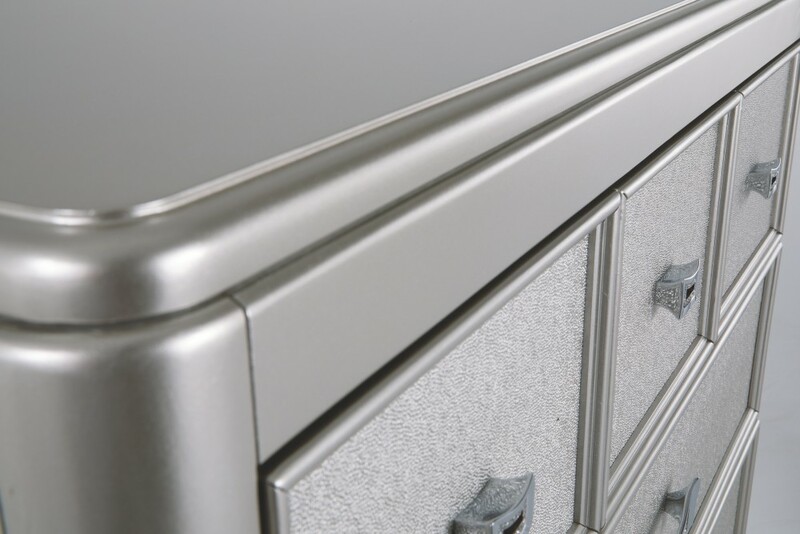 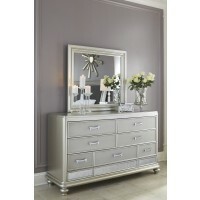 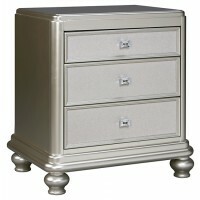 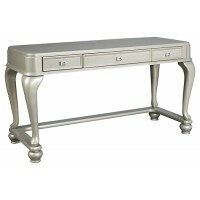 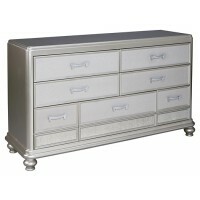 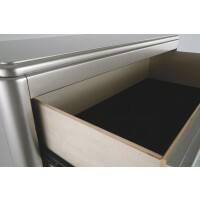 This chest of drawers allures with the glitz and glam befitting silver screen queens. 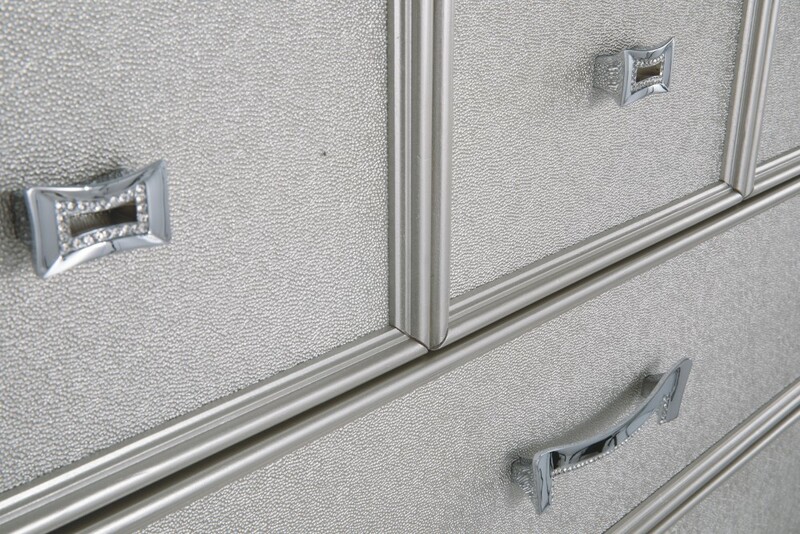 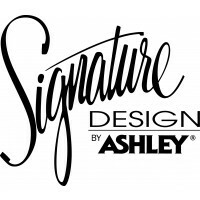 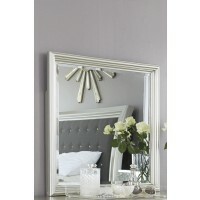 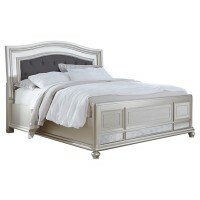 Exquisite frame's metallic tone channels that Hollywood Regency flair you've been dreaming of. 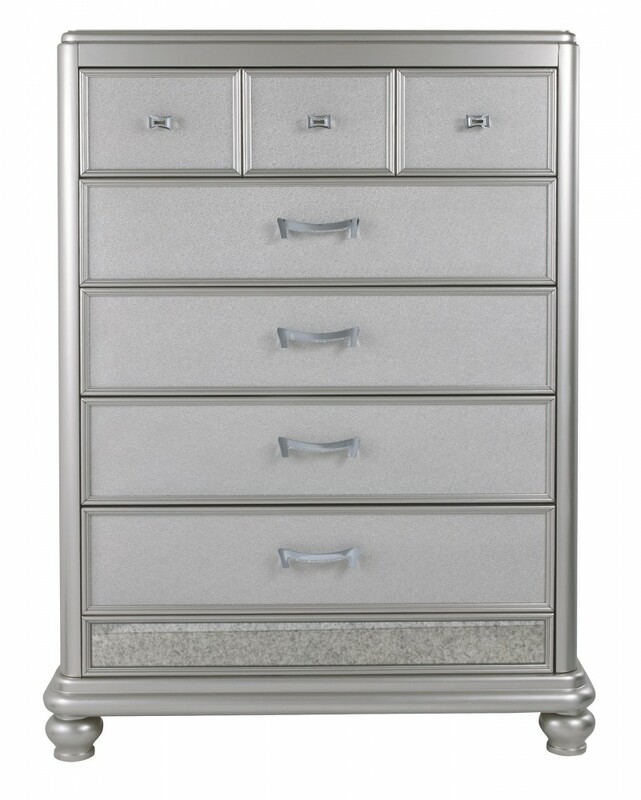 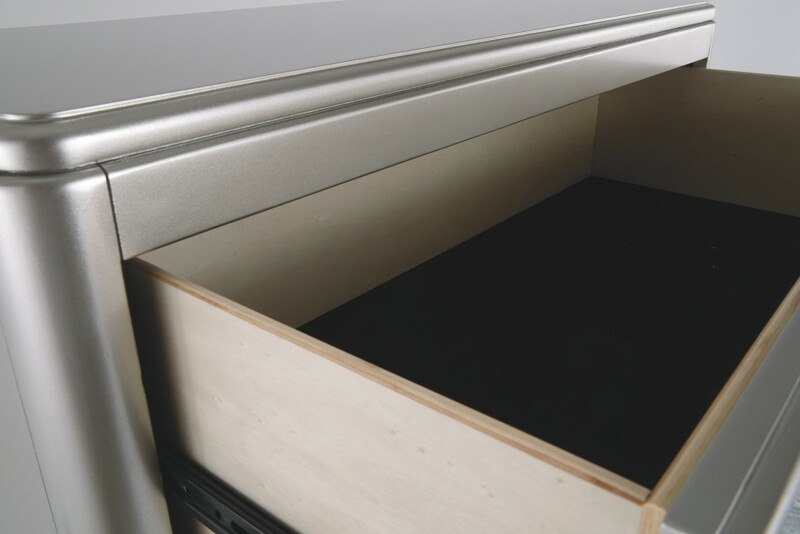 Faux shagreen texturing on the drawer fronts, a touch of bejeweling on the sculptural pulls and a strip of mirror sheen elevate this chest of drawers to interior fashion's A list.